Okay, so somehow I've managed to get Cora (our nickname for Victoria) to nap and have snuck away to my laptop to write a quick post before she wakes. You can't see my face, but I'm smiling like a Cheshire cat right now. I haven't had much time to think about home decor since Cora arrived, but being at home all day, I've noticed several change-ups I'd like to undertake in our house to improve our quality of living. Since Victoria was a bit of a surprise for us, we really didn't have our house set up for a baby, and we have only recently made one change to better accommodate her - switched out the glass coffee table for a leather tufted ottoman. Or rather, that change-up was more for my peace of mind since I was worried that anyone carrying her around in the living room would bump into the glass coffee table and trip. Crazy, I know. But when you have a newborn, falling while holding the baby is a Top 5 fear. We still haven't gotten a wall built downstairs to create the new home office, but that will be a definite must as soon as Cora starts crawling. For now though, we've put that project on the back burner since we've realized we need to put our efforts into our living room. Not that there's anything wrong with the living room, it's just not nearly as casual or child-friendly as I'd like it to be. I say this because growing up, my brothers and I would play in the family room on the carpet floor and watch t.v. there too. It was just so comfortable that way, and even to this day we still do that when we go to my parents' house. You can find us on the couch or the floor watching t.v. and playing with the dogs. And that is exactly how I want Cora to be brought up. I don't want her to think that anything in the house is too precious, I want it to be livable for her and for us. 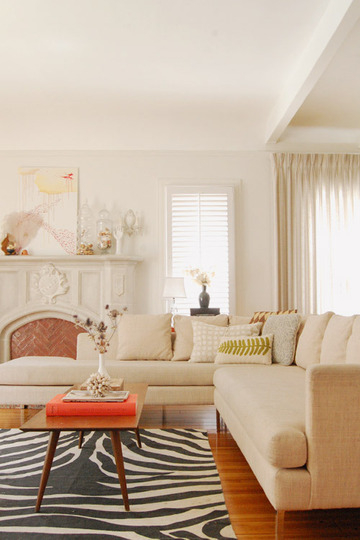 This is why I think getting a sectional sofa in our living room would be perfect for us. With a sectional we could remove our current sofa and armchairs to create more rug space for her to play with her toys on the rug. We don't have the luxury of a playroom, so our family room, along with her nursery, will have to double as a playroom of sorts. 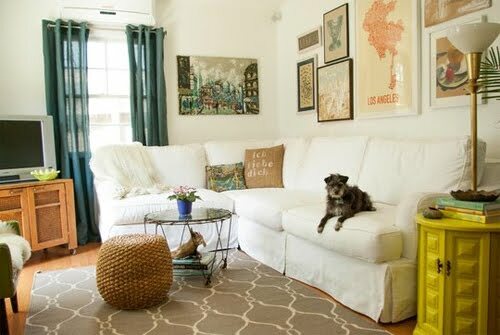 I found another blog (Young House Love) who had the same idea for their family and purchased the Ikea Karlstad sectional. They didn't want to get a sectional that would break the bank (I hear ya on that one! ), but they did want one that would stand up to children while looking chic. And I think they accomplished just that in their living room. Which brings me to say that I think that we are going to go this route too. We've tried out the Karlstad sectional to see how comfy it is and are sold that it is the right sectional for us. Not sure how soon we'll get it, but I am going to try my hardest to get it asap. 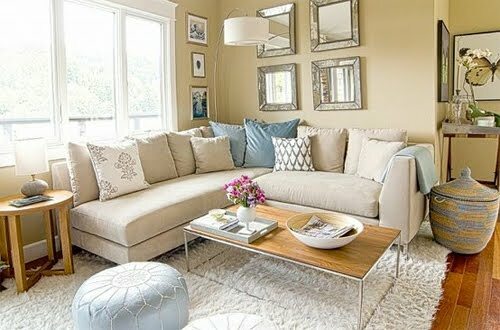 Casual & chic, which is exactly what I'm aiming for in our living/family room. 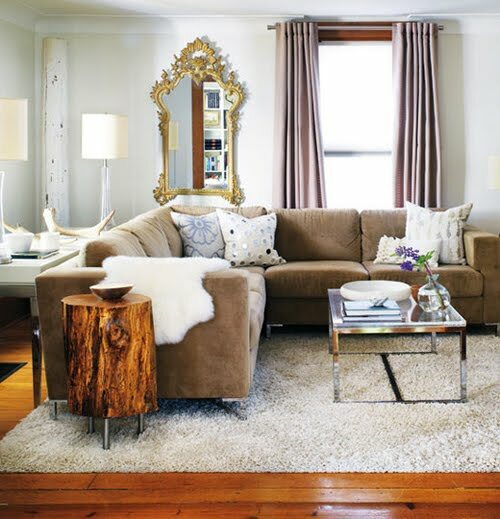 Whoever said that sectionals couldn't be chic never saw the photos below.